Discussion in 'Happy Hour' started by booth, Mar 14, 2019. Morris Dees was fired from the SPLC for misconduct. Dees put a lot of Klan members out of business in the mid -80's. He used ever tactic legal or not to put the Klan out of existence. Payback is hell. I wouldn't call it "hell," he's 82 now and filthy rich, he was already dialing back his involvement with America's premier hate organization anyway. Hell would be payback for all the lives and reputations he's besmirched and ruined through his despicable tactics. He was fired by Richard Cohen. When "useful idiots" are no longer useful, their (((masters))) dispose of them. Who is now, himself "stepping down...amid a series of high-profile departures and questions over its treatment of employees". "We’re going through a difficult period right now, and I know that we’ll emerge stronger at the end of the process that we’ve launched with Tina Cohen," the statement said. 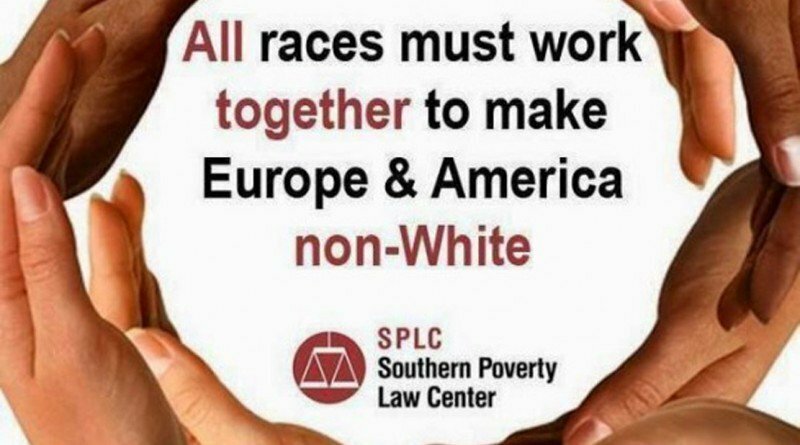 "Given my long tenure as the SPLC president, however, I do not think I should be involved in that process beyond cooperating with Tina, her team, and the board in any way that may be helpful." In addition to Dees, an assistant legal director also left over gender and race equity concerns. The center’s senior staff and board are largely white. About two dozen employees signed a letter raising concerns over "allegations of mistreatment, sexual harassment, gender discrimination, and racism threaten the moral authority of this organization and our integrity along with it," the Los Angeles Times reported. I found the following sentence above "funny": The center’s senior staff and board are largely white. I found the following sentence above "funny": The center’s senior staff and board are largely (((white))). Haha, it was clear. I just wanted to add a visual to emphasize the point.